Many Pop Health readers may be wondering- where is the new content? The answer- on Instagram! 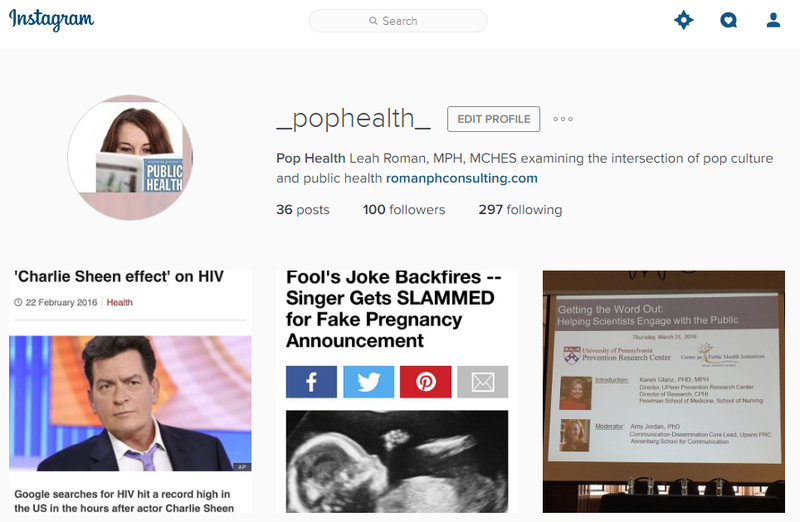 I am taking a break from blogging, but you can find new pop culture and public health content and commentary on my Pop Health Instagram account. There are 5 years worth of blog posts here, so I hope you'll search the archives and continue to share my work in your classrooms and other venues. You can also keep up with me (and my favorite public health resources) on my consulting website. Thanks for being a loyal Pop Health reader!